The Taxing Issue of the Year…. the Tax Year! Some brief research as thrown up this brilliant answer from the Tax Advisory Partnership based in London. TAP describe themselves as “young and vibrant London-based organisation, which brings together a wealth of wide ranging experience and expertise in all areas of US and UK tax advice and compliance.” As I am quoting their answer word -for -word I dont mind including their website here, they also have a blog, which you can find here. Anyway, back to the important issues of the day; Firstly, we need to go back to 1582 when Pope Gregory XIII (yes, thats him over there…) ordered a change from the Julian Calendar (named after Julius Caesar) to the Gregorian Calendar (named after, well you can probably guess). The Julian Calendar had consisted of eleven months of 30 or 31 days with a 28 or 29 day February, and had worked pretty well for the previous 1600 years or so. However, it differed from the solar calendar (the actual time taken for the earth to travel around the sun) by approximately 11½ minutes per year and by the late 1500s this discrepancy had put the Julian calendar behind the Solar calendar by 10 days. And so in 1582 Europe changed to a new system which drops a leap year every Century (unless that century is divisible by four, unless that century is divisible by four-hundred) and the problem was solved. Except that the UK, who had previously had their own “disagreements” with the head of the Catholic church on matters such as divorce, ignored the Pope’s decree and carried on with the Julian Calendar (as did Russia incidentally and for much longer than the UK). Thus for the next 170 years there existed a difference of at least 10 days between the calendar in Britain and that used in the rest of Europe. Using the new rules, 1600 added another day’s difference, whereas 1700 did not, and by 1752 Britain was therefore 11 days out. Meanwhile, in England and Ireland the four main Christian religious holidays (including Christmas Day) had been used as the “quarter days” on which debts and accounts had to be settled and rents for land and property had to be paid. The first of these quarter days fell on “Lady Day” (the date of the announcement by the archangel Gabriel to the Virgin Mary that she would become the mother of Jesus Christ), being 25 March and that was also New Year’s Day and the first day of the British tax year. Anyway, on with the tax story, it was not until 1752 that the British finally realised that they would have to align their calendar with the rest of Europe and move New Year’s Day to 1 January and drop 11 days from the calendar in order to catch-up. Therefore, 1752 would be an unusual year and in fact it was September 1752 that was the unusual month, with 2 September being immediately followed by 14 September. Perhaps understandably, the British people were unhappy with being robbed of 11 days of their lives and took to the streets to protest. The main focus of their fury was that their taxes were not also being similarly adjusted and so they were expected to pay a full year’s tax, despite the fact that the year had only 354 days. In typical style, the Treasury was concerned to ensure there would be no loss of tax revenue and no concession to the populous and so it decided that the tax year should remain as 365 days. And so the beginning of the following tax year was moved from 25 March to 5 April and everyone was happy, kind of. Having done it once, the Treasury then decreed in 1800 that there would be another lost day of revenue, given that the century end would have been a leap year under the Julian calendar whereas it was not under the new Gregorian calendar. Thus 1800 was a leap year for tax purposes but not for the purpose of the calendar and so the tax year start was moved on again by a single day to 6 April. This practice was dropped in 1900 and it seems that we are stuck with a 6 April start date for our UK tax year. If only the Treasury had continued adding a Julian leap year for tax purposes, where there was not a Gregorian leap year; we would have caught up with the rest of the world on 1 January 37901!? 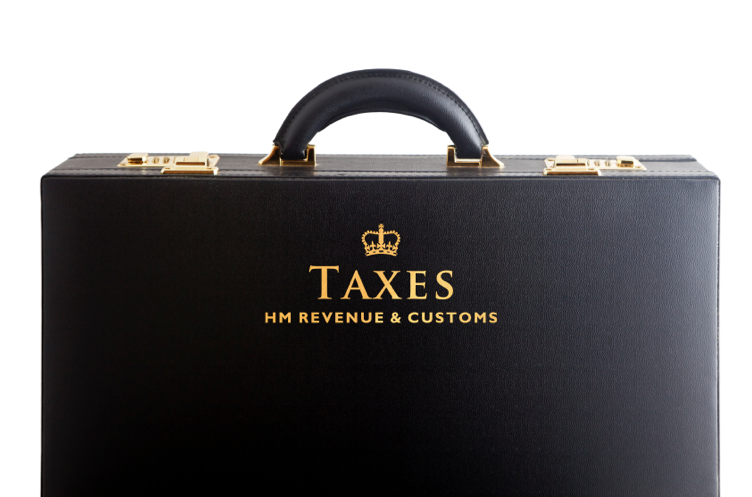 Click here to read more about UK Tax Compliance…. go on… you know you want to. Fascinating! And you did not tax my powers of concentration.